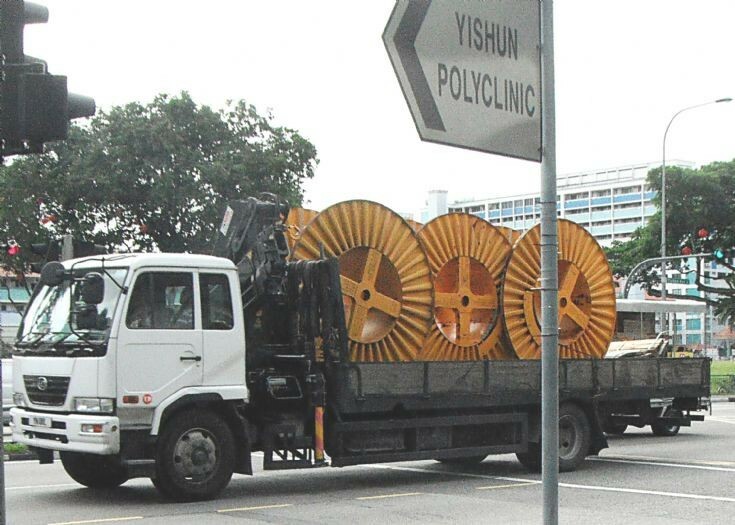 A new medium duty cargo truck of a Nissan Diesel UD Condor PK252 series is spotted here passing by at Yishun New Town in Singapore. Fitted with a Hiab lifting crane, it is seen here transporting barrels of power cable drums to be delivered to an unknown destination. Photo taken in Feb 2012.